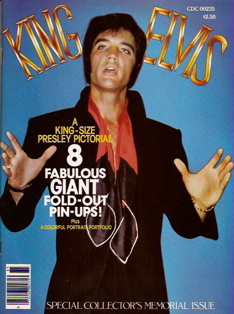 item #M122: “King Elvis” | Whizbang Publications | 1978 | 16 pages + 8 fold-out posters | Theme: Elvis photos. 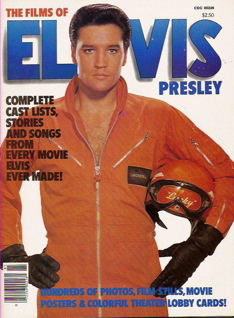 item #M123: “The Films of Elvis Presley” | Whizbang Publications | 1978 | 98 pages | Theme: Elvis movies | includes information and photos from all 33 Elvis films. 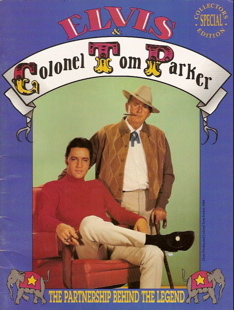 item #M124: “Elvis and Colonel Tom Parker” | Graceland Publications | 1994 | 32 pages | Theme: Colonel Parker tribute. 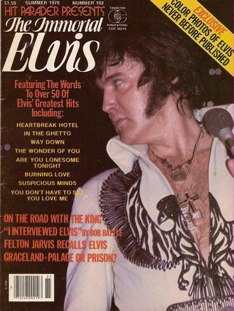 item #M125: “Hit Parader Presents The Immortal Elvis” | Charlton Publications | 1978 | 50 pages | Theme: Elvis song lyrics to 50 songs | includes articles on Mae Axton and Felton Jarvis. 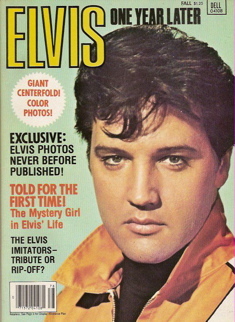 item #M127: “Elvis One Year Later” | Lorelei Publishing | 1978 | 74 pages | Theme: Elvis tribute articles | includes two-sided pull-out poster. 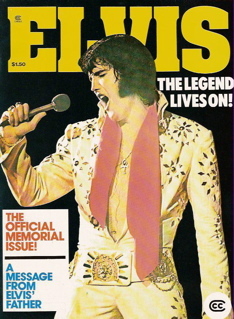 item #M128: “Elvis The Legend Lives On” | Marvel Comics Group | 1978 | 50 pages | Theme: Elvis’s life story and legacy | A British Fan Club tribute to Elvis. 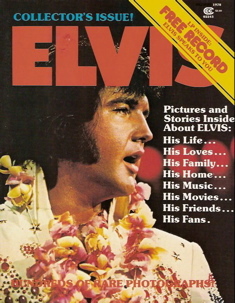 item #M130: “Elvis Collectors’ Issue” | Green Valley Record Store | 1978 | 64 pages | Theme: Elvis’s life story | includes a plastic record insert. 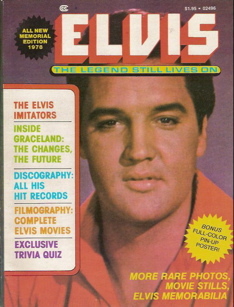 item #M131: “Elvis The Legend Still Lives On” | Manor Books | 1978 | 90 pages | Theme: Elvis movies and biography | includes color centerfold photo. 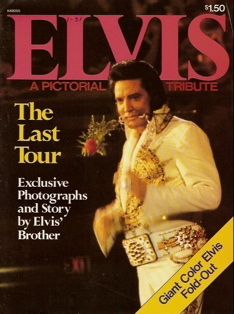 item #M132: “Elvis: A Pictorial Tribute” | Star Fleet Publications | 1977 | 8 pages + 8-page fold-out poster | Theme: Elvis’s final tour in 1977 | Story and photos by David Stanley.